Old-school Intranet, with a modern twist. The key to Kraft's handcrafted design is the way it combines the moderness of BindTuning web parts with its paperly look. It gives a different twist to the most common of Intranets. In two words, game changer. 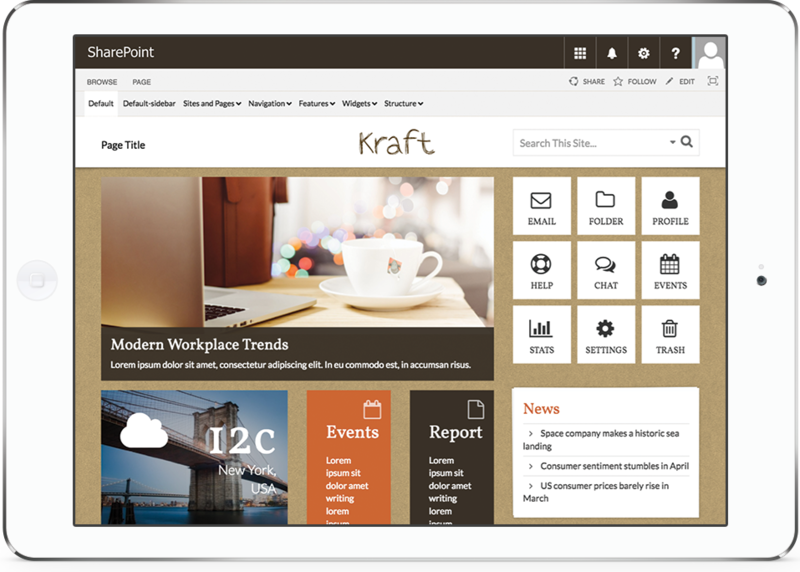 Kraft seamlessly features BindTuning most popular web parts, including Tiles, Calendar, Documents, Quick Links and more.